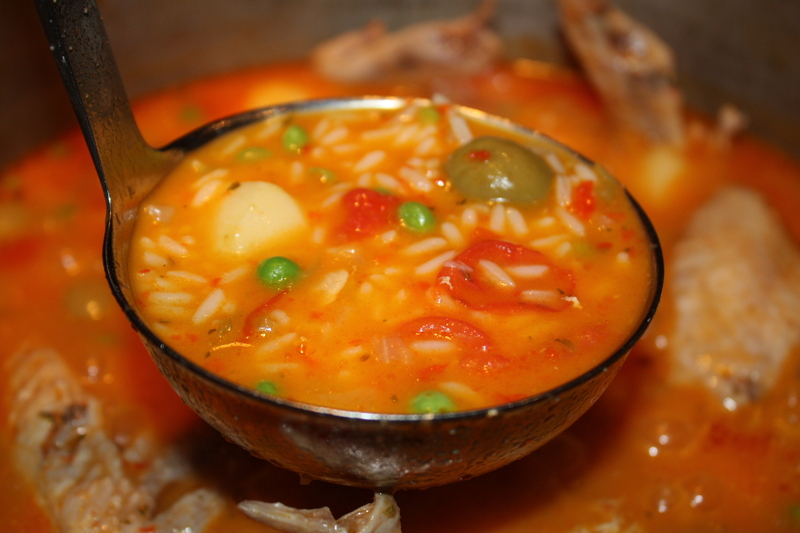 My grandmother Ita always says an “arroz guisado” (stewed rice) is as good as the “sofrito” you make. In Puerto Rico, sofrito refers to a blend of oil, onions, garlic, aji dulce (sweet peppers), bay leaf, tomato sauce, “alcaparrado” (a blend of manzanilla olives and capers), cubanel and bell peppers, culantro (recao) and sometimes, ham, cilantro, oregano, annatto oil and cumin that is sauteed for a prolonged time to create a base for rice, legumes, soup or stews. Sofrito has its origins in Mediterranean cuisine and is also popular in Greece, Portugal and Spain. As a result of colonization and the discovery of the new world, many latin american countries have their own variation of sofrito for each specific region. 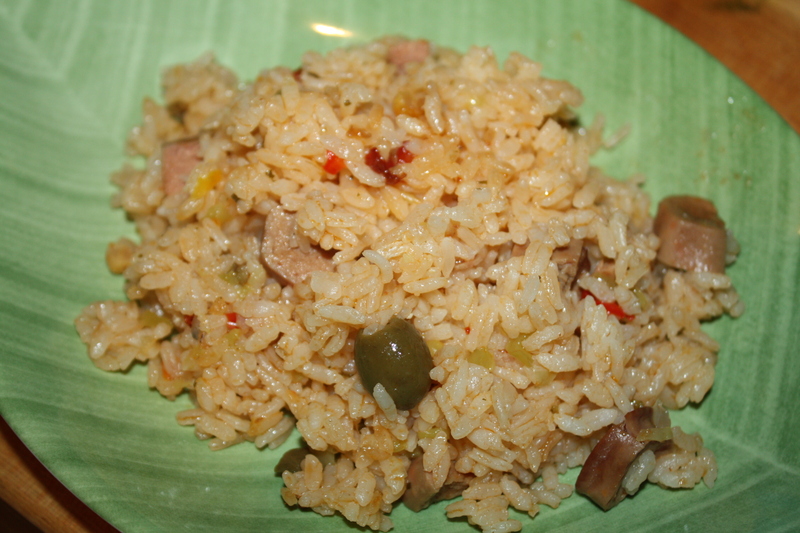 Arroz con Salchichas is a popular Puertorrican one pot meal that is inexpensive, simple and savory. It is sometimes called “the hurricane season diet” because it is easy to prepare over a gas stove, feeds a crowd and its ingredients don’t need refrigeration. 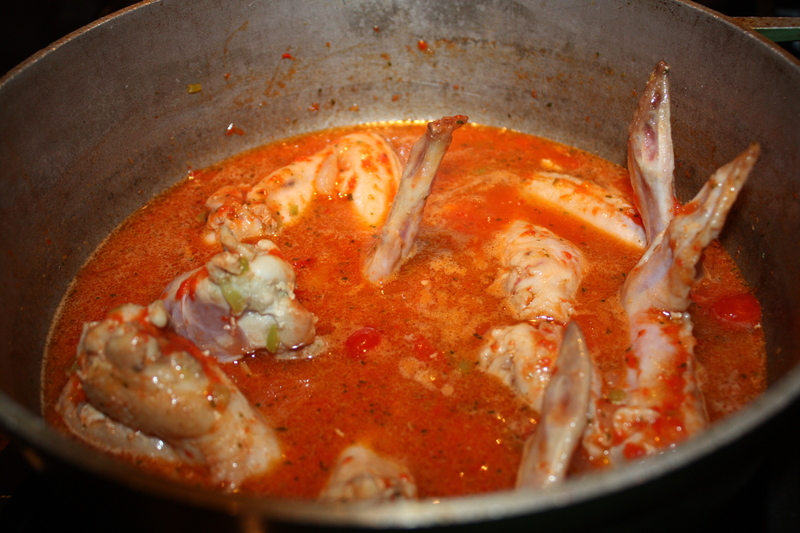 It is loved by young and old and is a staple dish in traditional Puertorrican families, comfort food for many and an “antojito” (craving) for expatriates. 1. 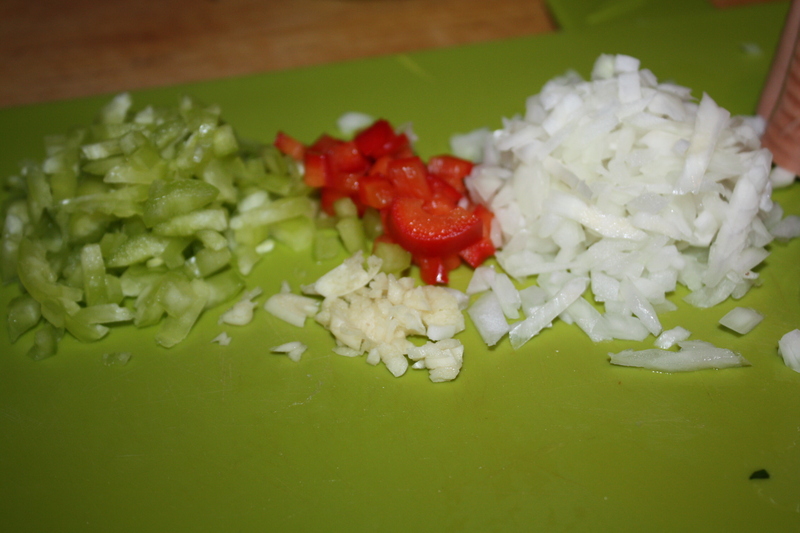 Heat oil (med-low) then add green cubanel pepper, onions, garlic and red pepper. Saute for about 3 minutes. 2. 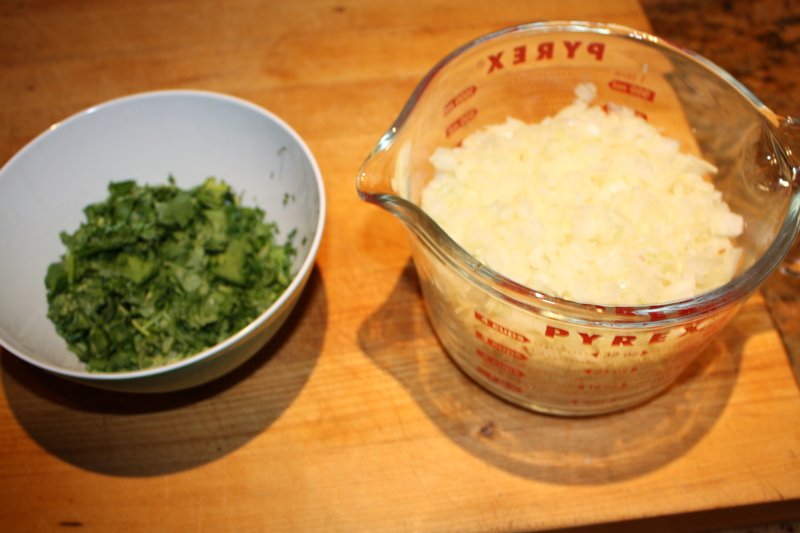 Add rest of ingredients, except chicken broth and rice, and saute in med low for about 7-8 minutes. 3. 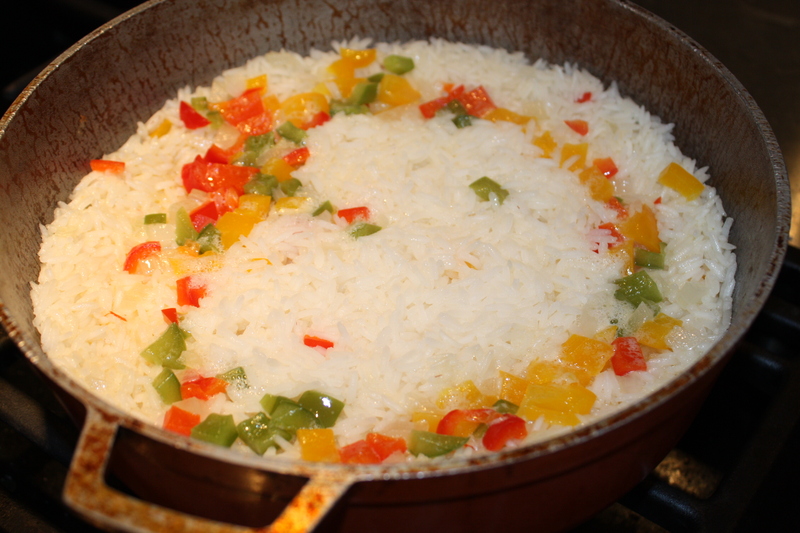 Add rice to sofrito and quickly saute to cover all rice with color. Then add chicken stock and sausage brine and bring heat to medium. 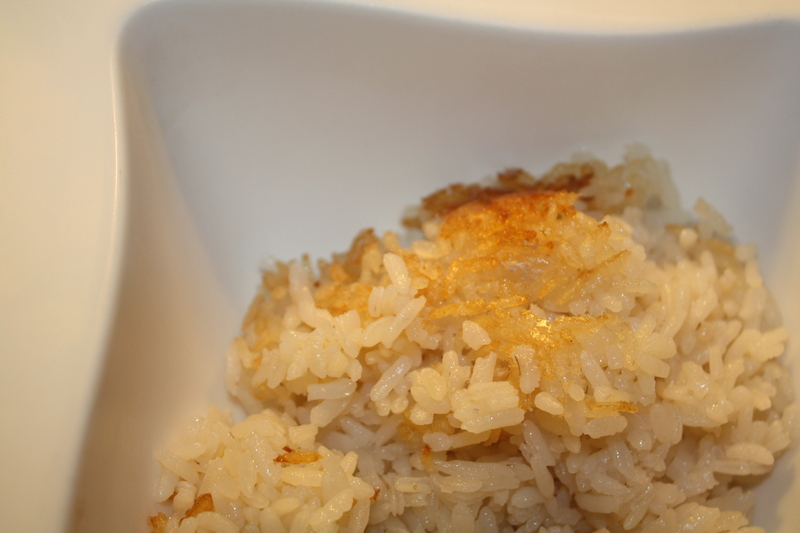 Let cook uncovered until almost all liquid has evaporated and you see bubbles on top of rice. 4. Bring heat to low. 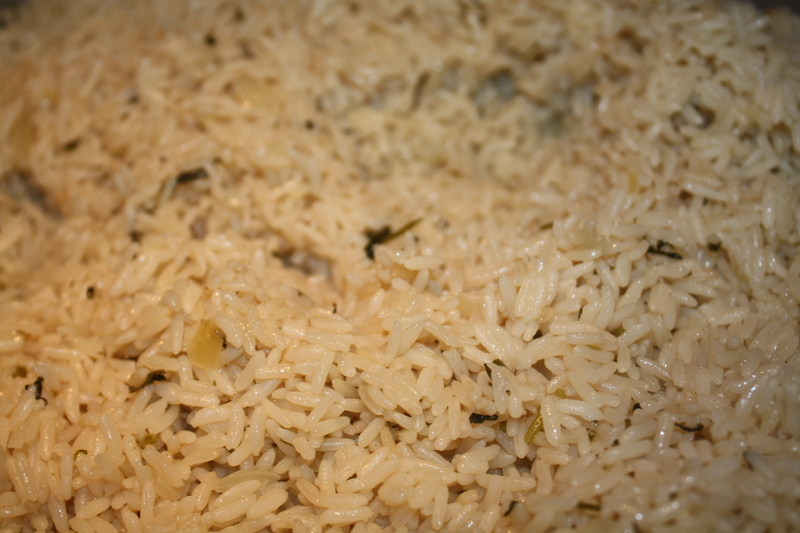 Stir with a slotted spoon and continue to cook covered, until rice is done (about 10-12 more minutes). “San Isidro, labrador, quita el agua y pon el sol.” This is a phrase that Catholic farmers in spanish speaking countries say to one of agriculture’s patron Saints when they want the rain to go away and the sun to come out. This summer in Puerto Rico it has been raining a lot as opposed to bright sunny days typical of the season. The weather has been crazy, like in many parts of the world, and we have missed the traditional trips to the beach. For us, the best comfort food for a rainy day is Asopao. 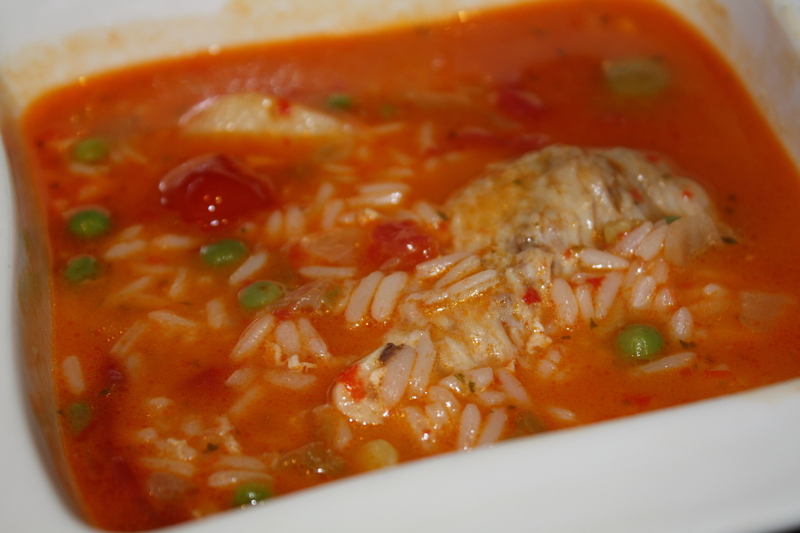 A stew made of chicken or seafood with rice which is heartier than a traditional chicken soup. 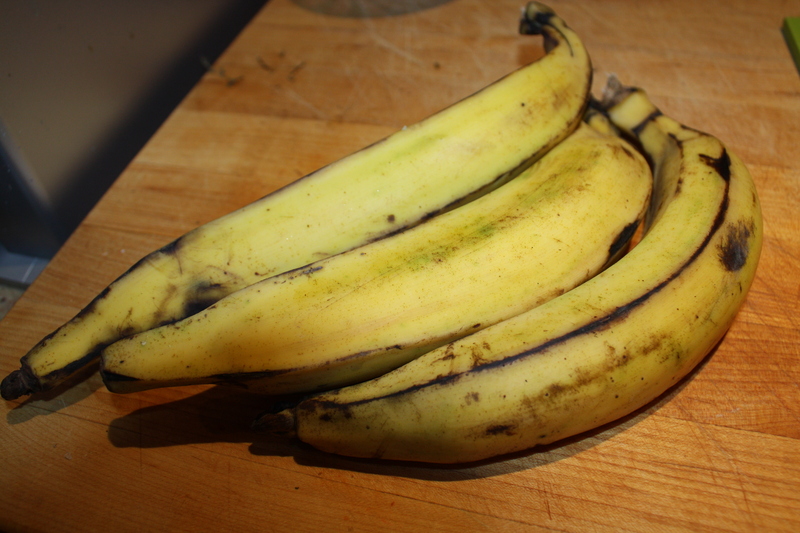 I usually accompany my Asopao with a side of avocado and tostones (fried green plantains). So, for those of you that will be sequestered in your homes during this weekend (due to the rain or the cold), here is my recipe for Asopao de Pollo (Chicken Asopao). 1. 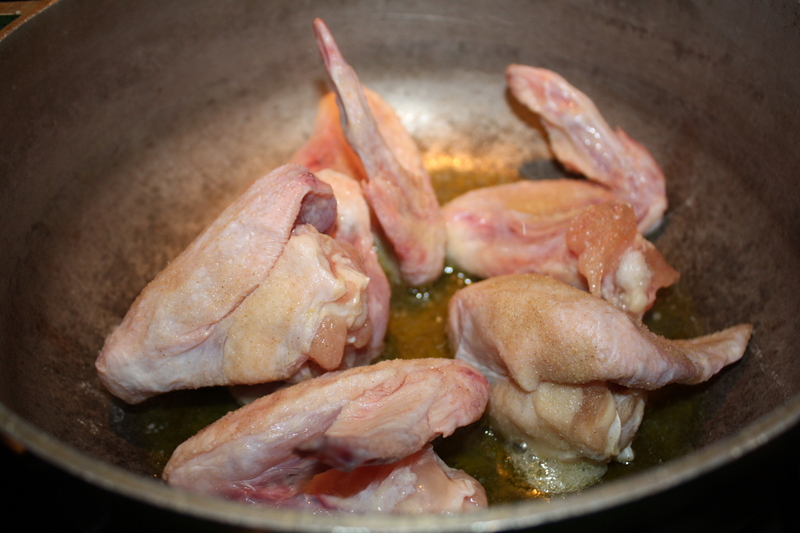 In a med-large heavy bottom sauce pan, heat olive oil (med) and saute the seasoned pieces of chicken. About 5-8 minutes. 2. 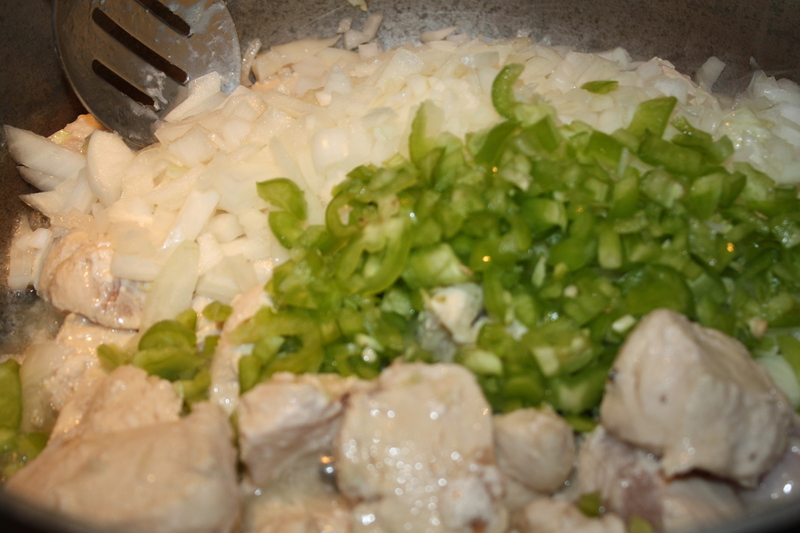 Add onions and green pepper and saute for about 3 minutes. 3. 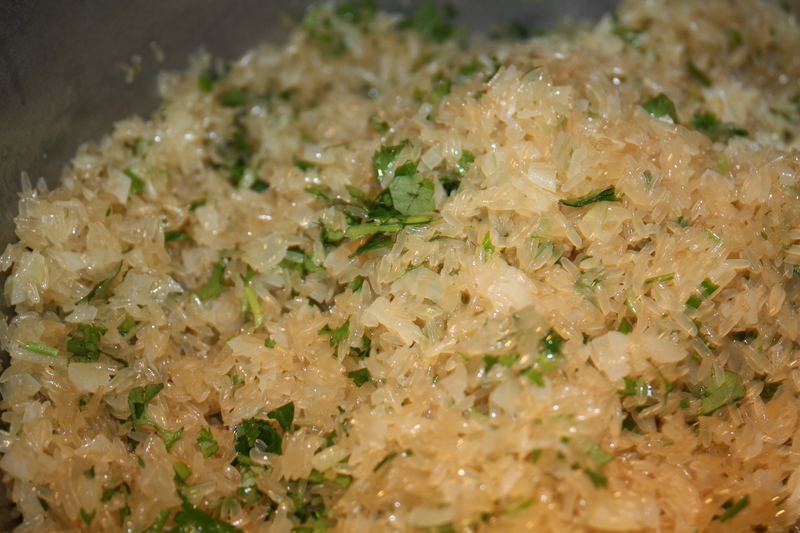 Add minced garlic and saute for about 3 more minutes. 4. Add recaito ice cube, tomatoes, olives and tomato sauce. Saute for about 5 minutes. 5. Add white wine, pureed pimentos and salt. Let simmer for about 5 minutes. 6. 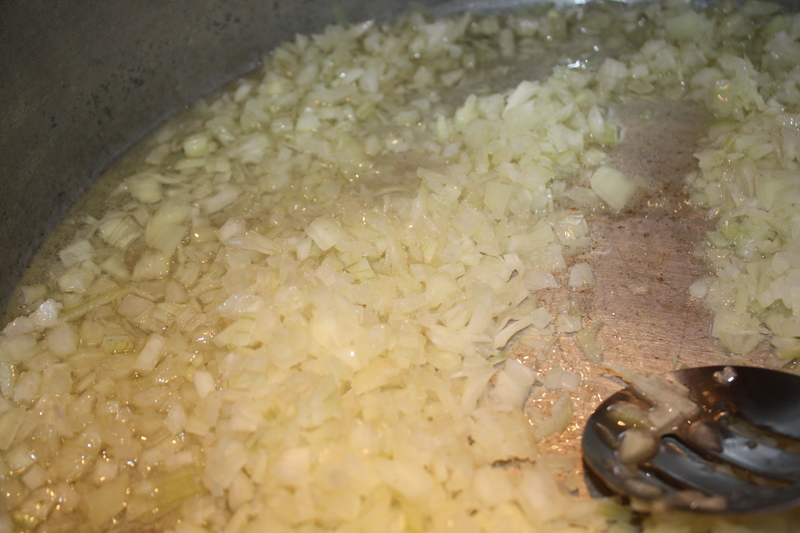 Add chicken broth, water and potatoes. Let stew simmer for 25 minutes covered. 7. 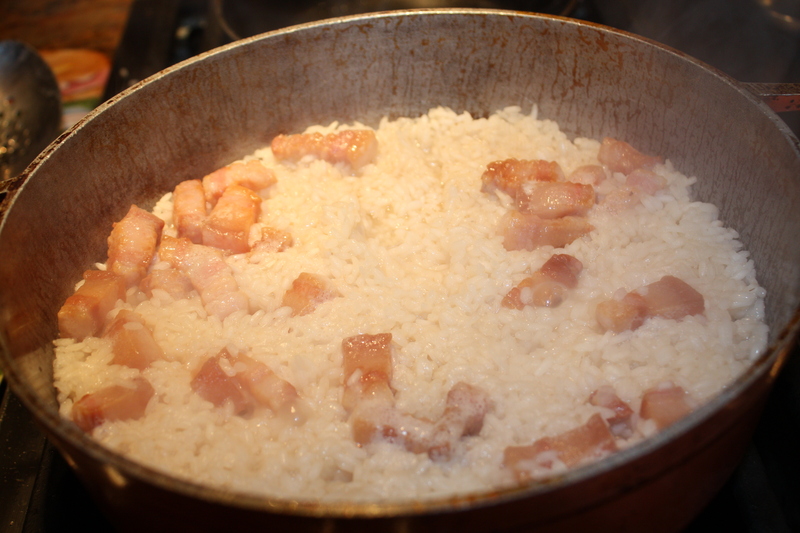 Add 1 cup of rice and cook for 15 minutes covered. 8. Add sweet green peas and cook for 5 more minutes covered. At this point add more water if you want the Asopao to have a more liquid. 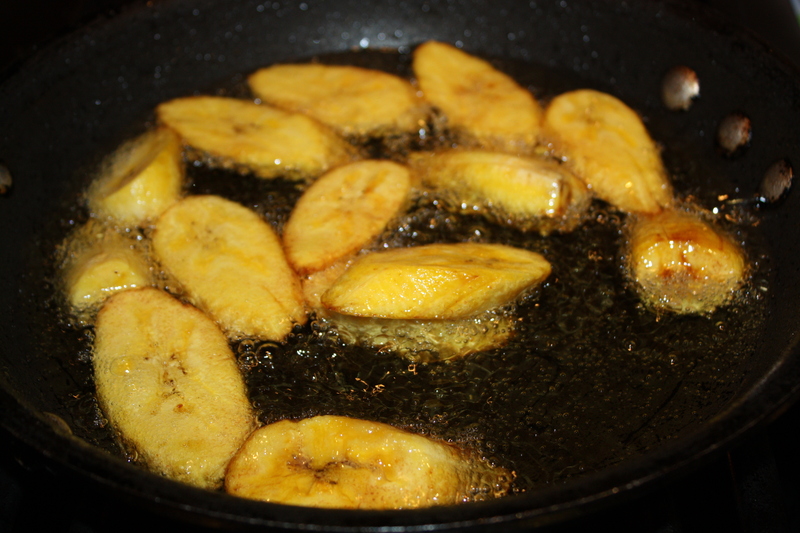 Serve with side of tostones and avocado. My sister in law Frances is an expert at improvising in the kitchen. For more times than I can remember, I have seen her juggle in the kitchen to feed a large group of unannounced guests with delicious homemade meals. This rice is inspired in one of her trademarks. She makes it in a rice cooker, but I don’t own a rice cooker so I make it in my caldero, chef’s pan or heavy bottomed sauce pan. 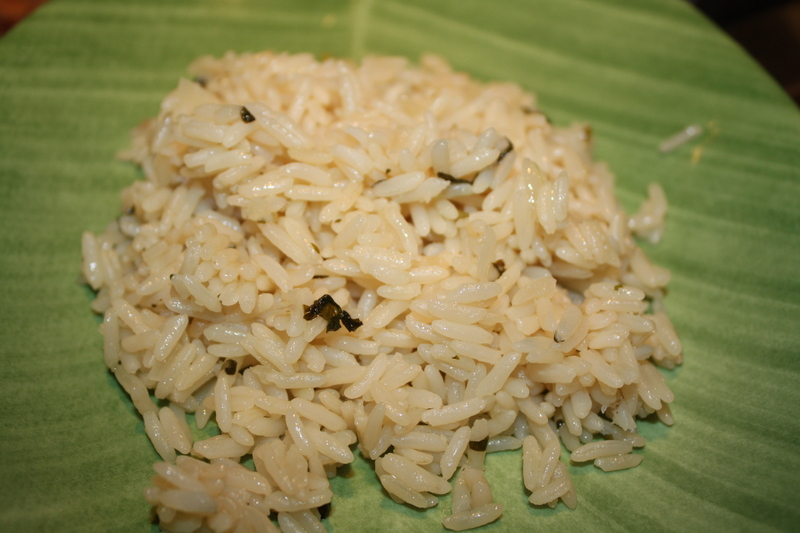 In addition, she uses extra-long grain white rice which I substitute with Jasmine Rice. 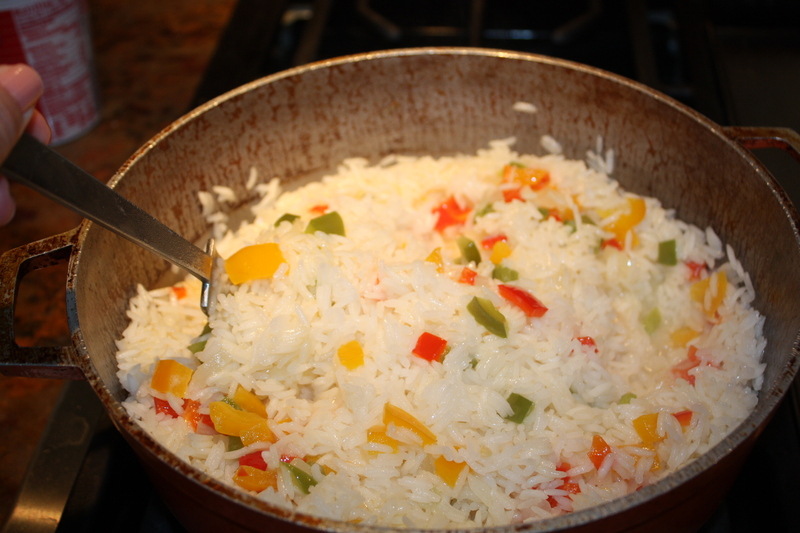 It is easy, colorful and a nice twist to traditional white rice. 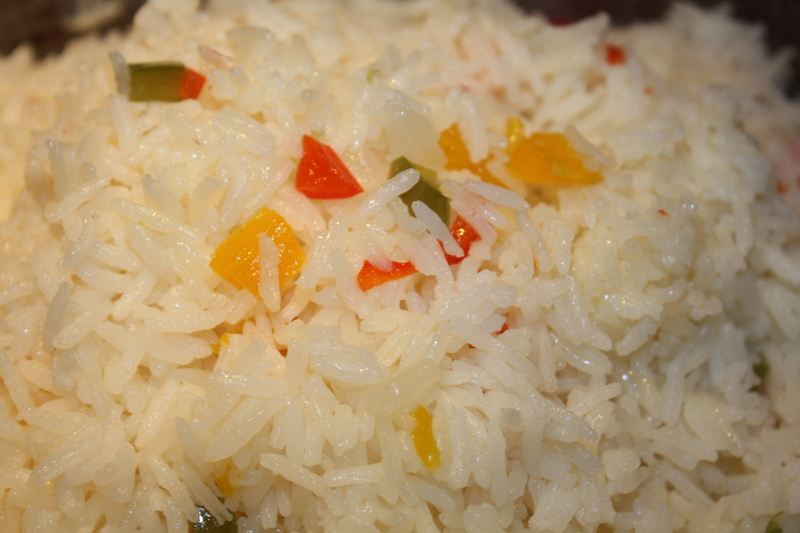 Also, this rice is aromatic and full of flavor. By making little changes like these in everyday meals we get inspired to get out of the routine and explore new possibilities. Accompany with filet mignon, grilled chicken or bbq ribs. 1. In a medium size heavy bottom pan or caldero, melt butter (med heat). 2. Sauté onions and peppers until onions are translucent. 3. 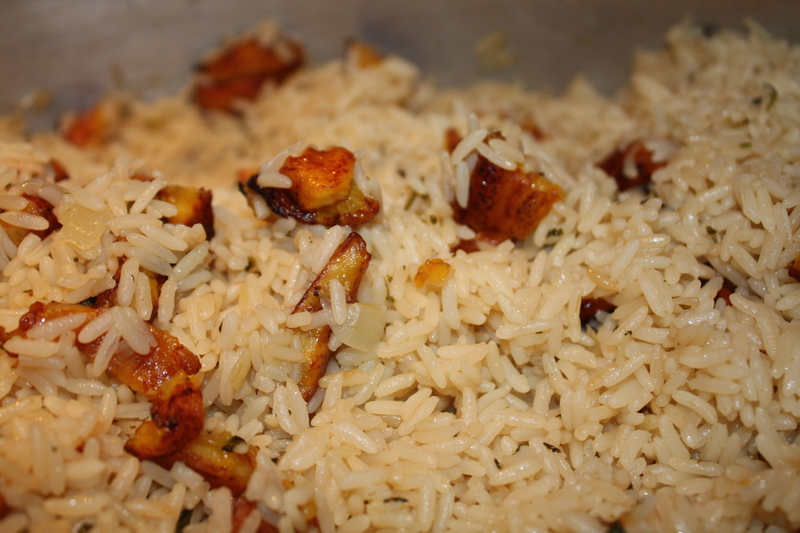 Add jasmine rice and stir to coat all grains with the melted butter. 4. 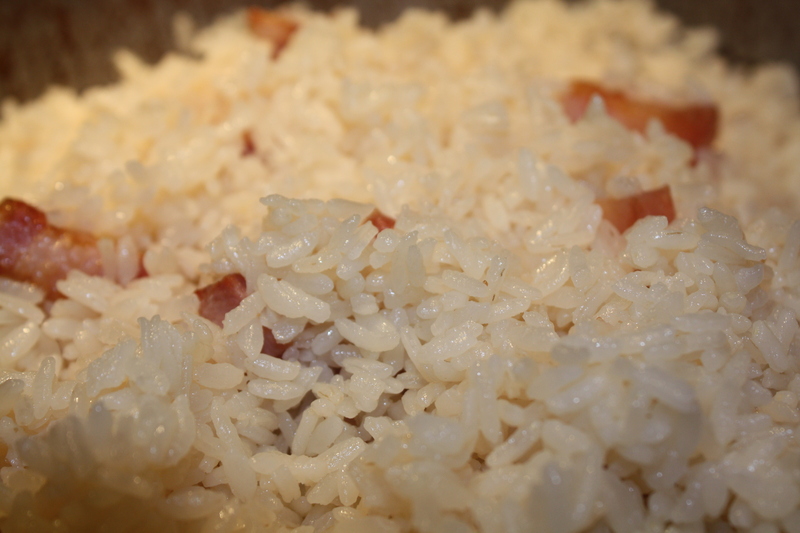 Add water and cook uncovered until most of water has evaporated and you can see small holes in the top of rice. 5. Stir with a slotted spoon or large fork. 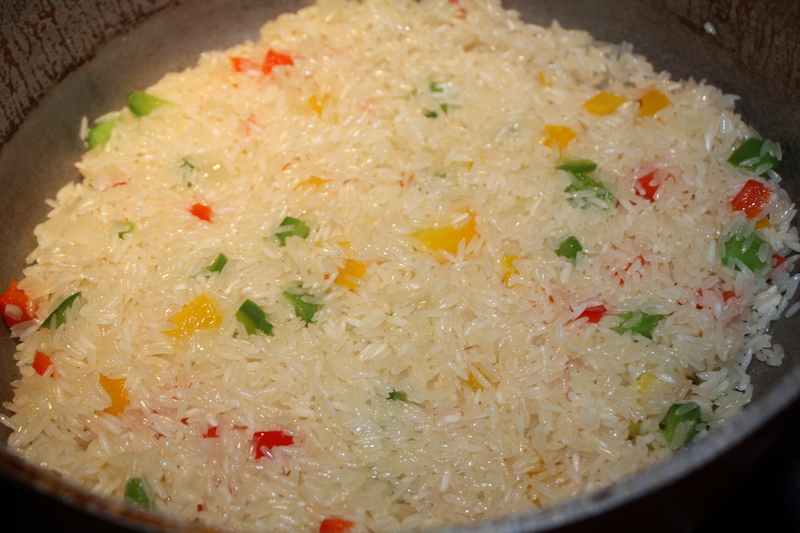 Reduce heat to low and cover until rice is cooked, about 15-20 more minutes. 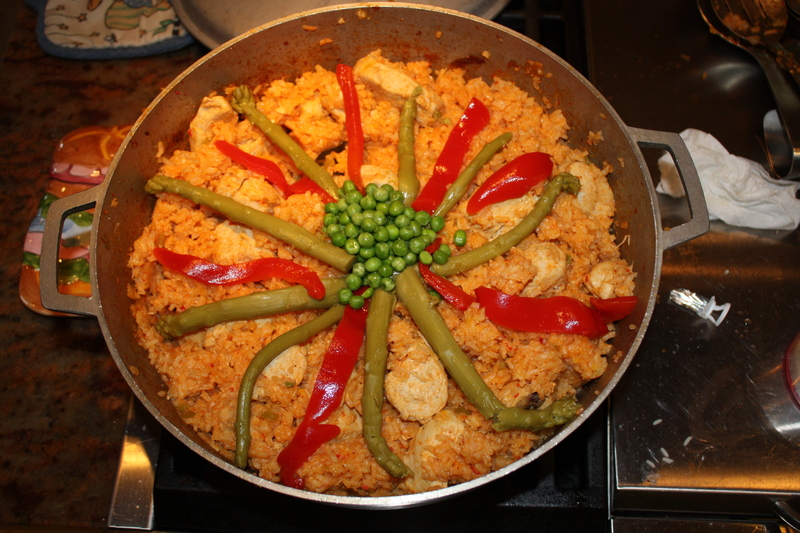 My Arroz con Pollo recipe is influenced by a mixture of recipes and tips I have picked up along the way and is the result of trials and errors in the kitchen. Arroz con Pollo is a one pot dish that feeds a large group and is excellent to make on a Sunday afternoon for a late lunch/early dinner. 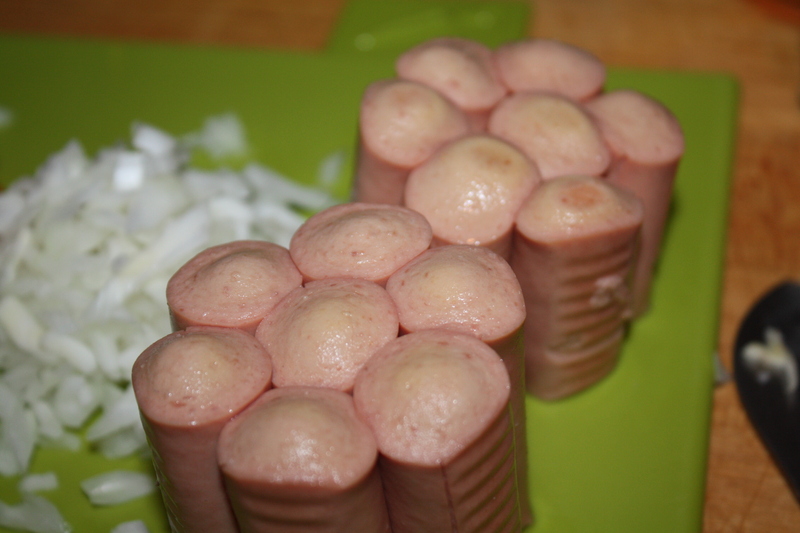 Sometimes we have unexpected guests on weekends and we usually make this dish. Easy, simple and delicious. Everyone gathers around the kitchen area and is enthralled with the aromas that fill the house while this dish is being made. 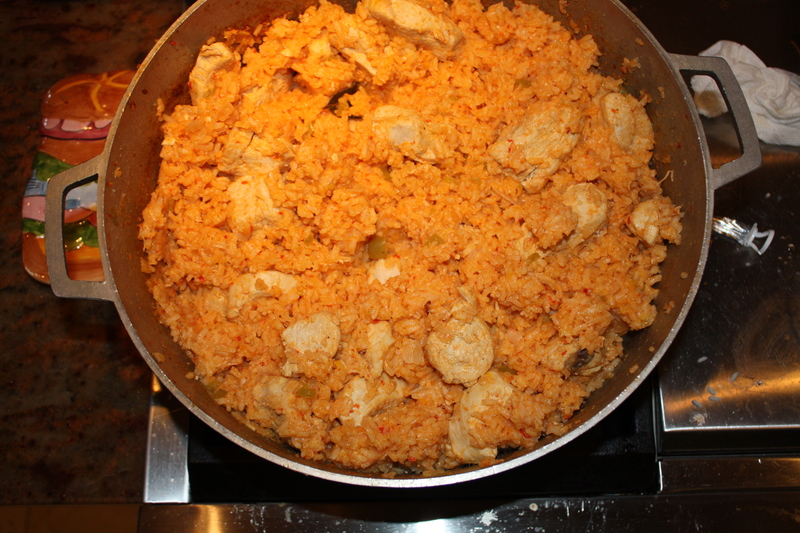 This Arroz con Pollo has a distinct flavor which makes it special and different. 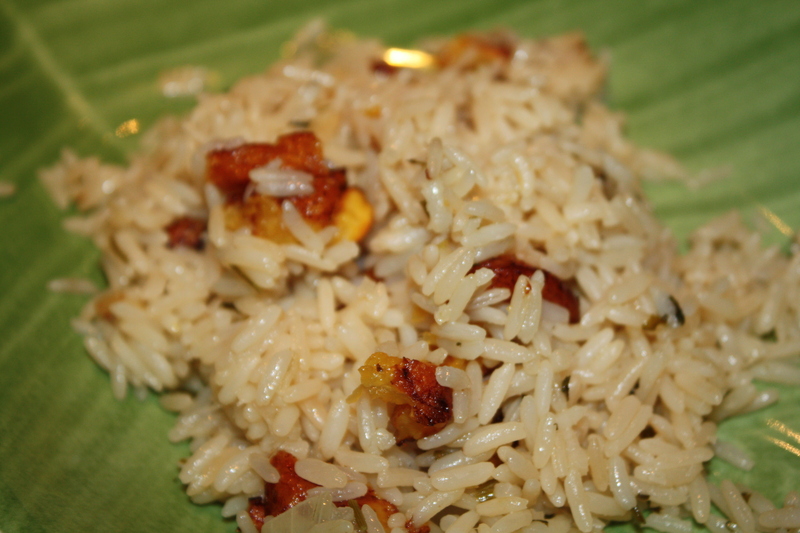 The result is a “wet rice” similar to a Paella. 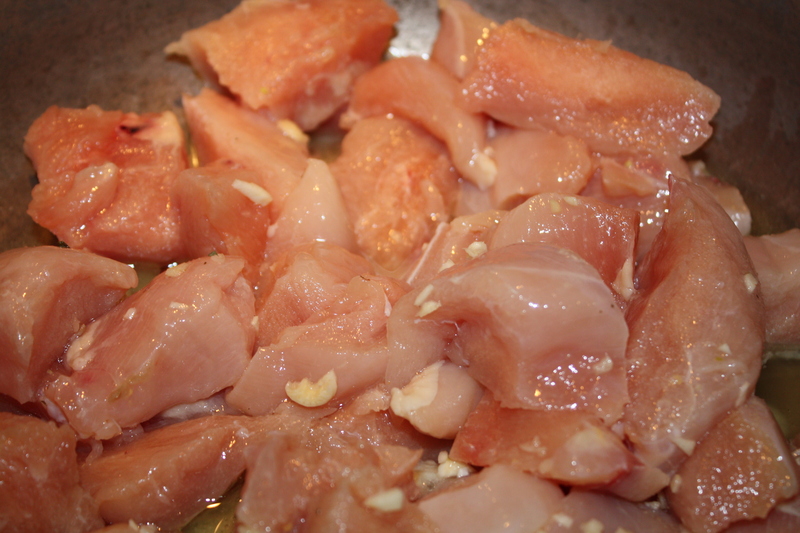 You may use a whole chicken or boneless chicken breasts. It serves approximately 12 persons. 1. Season chicken pieces with adobo. 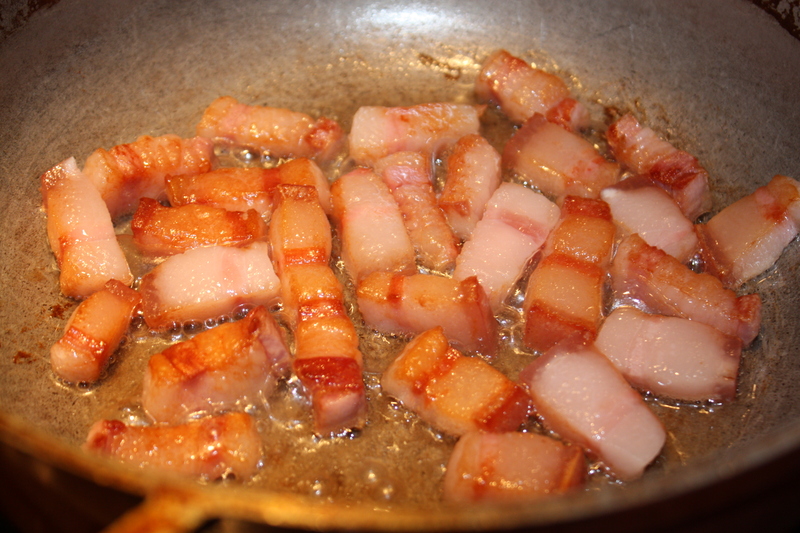 In a large caldero or heavy bottom saute pan heat oil (med-hi) and saute chicken brown it a little. 2. 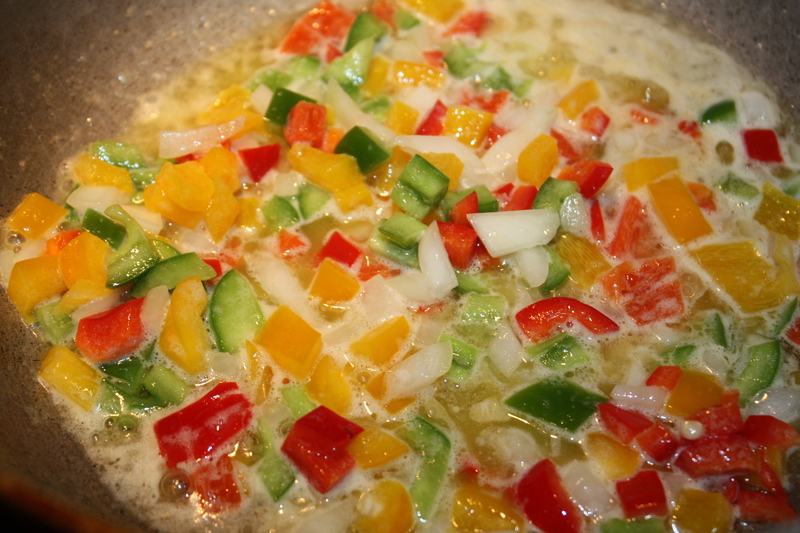 Add onions, garlic and peppers and saute until trasluscent. 3. Add bay leaves, salt, pepper, pureed pimentos, tomato sauce and bitter orange and saute for about 10 minutes. 4. 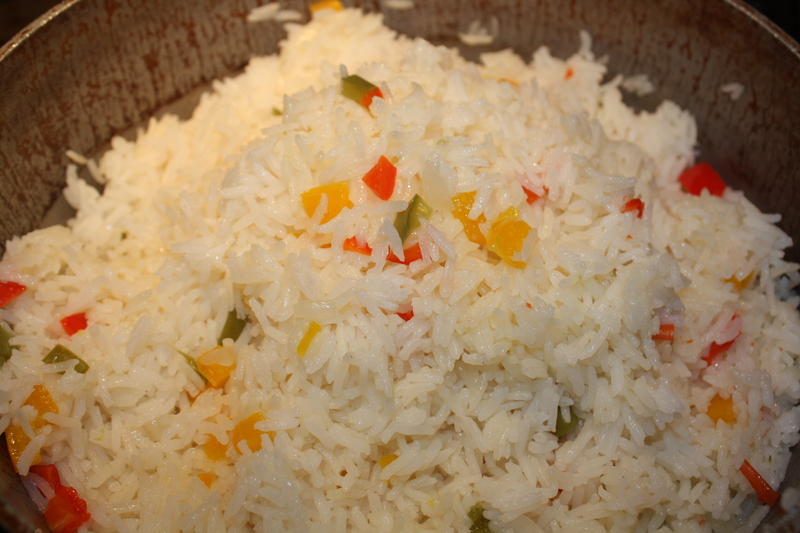 Add rice and mix with all ingredients. 5. Add beer and saffron mixture along with chicken stock and cook uncovered until liquid evaporates. 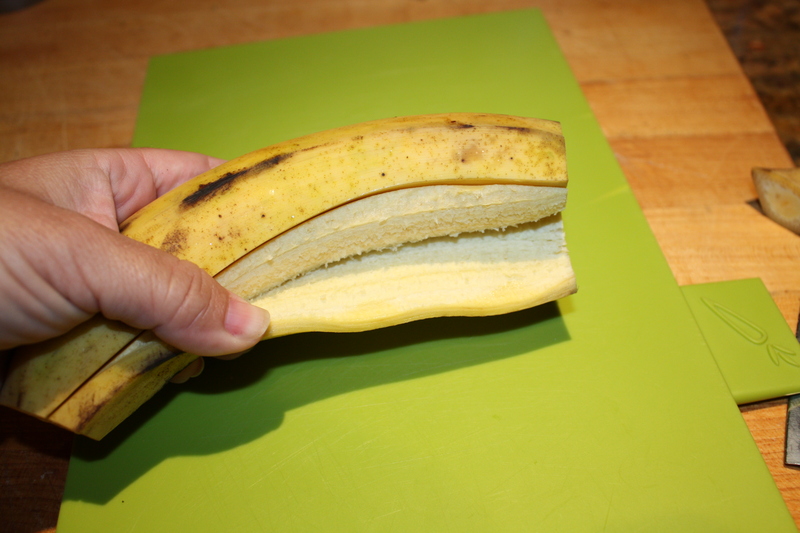 Stir with a slotted spoon. 6. Bring heat to low and cover to cook until done. Once the rice grain is tender decorate with green peas, asparagus and slices of pimentos and cover again for about 5 minutes. Turn heat off and serve.